A dosa sizing solution is a mixture of glue solution and alum for treating washi, eginu (silk canvas) and boards used as the support medium for Japanese paintings to prevent ink from smudging. When gilding with gold and silver leaf, applying sizing solution over the leaf helps fix paint to the surface and also prevents oxidation of the silver leaf and silver pigments. 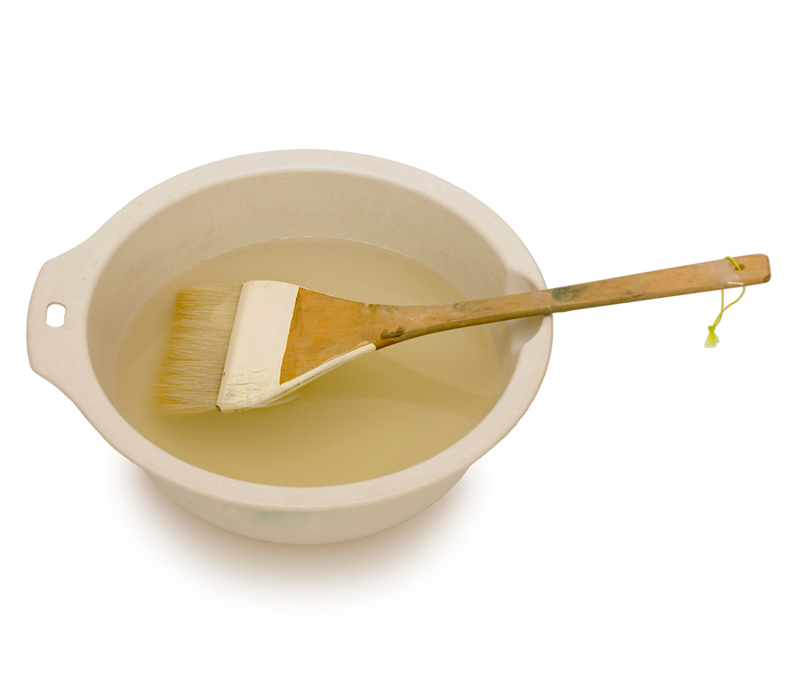 Because washi and eginu are water absorbent, when a paint mixed with glue solution is used, only the glue penetrates inside and the paint itself does not fix to the surface. Coating the surface of the canvas with a thin film of sizing solution reduces its water absorbing properties and thus helps the paint to fix. For use on kumohada mashi (hemp paper), the sizing solution can be prepared by mixing 20g (around 2 strands) of hide glue and 2.5g of alum in 1,000ml of water and heating this over hot water to dissolve the glue completely. There is also a way of making sizing solution by diluting glue. This is done by gradually adding hydrated alum to a glue solution heated to a temperature of around 35 to 70 degrees Celsius. The concentration of the sizing solution will depend on the type of support medium it will be used for. With thin washi paper (Mino paper) and eginu, the sizing solution is diluted to around half the concentration. For cedar boards, a relatively thick sizing solution should be used. The alum contained in the sizing solution is acidic and is said to cause washi paper to deteriorate. Therefore, it is best to use as little alum as possible.